With the intense rivalry between smart phone companies, consumers tend to be the one who benefits from the rapid development of their mobile devices. Not surprisingly, mobile developers are trying to encompass everything into smart phones including mobile app games. And the mobile gaming industry is certainly not lagging behind. Sector growths in IOS and Android gaming have risen exponentially and are even forecasted this year to eclipse console game revenues for the first time. Game Engines are equipped with visual development tools that make use of reusable software components. The development tools are used in an integrated development environment to program games in a data-driven manner. Game engines have high performing software suites which are equipped with many important properties to build a game. Such properties include graphics, sound, physics and A.I functions. Game engines may be regarded as "middleware" as they provide an adaptable software platform which provides all the main functions required to develop a game application. Like other middleware solutions, multi platform game engines, which I will be listing some later on, provide platform abstraction, which allows the same game to be run on the different platforms including console games and personal computers without drastically altering the game's source code. The functionalities of game engines can be very versatile as they are also often used for their interactive applications with real-time graphical features such as marketing demos, architectural visualizations, training simulations, and modeling environments. Unity is a widely adopted among mobile game developers due to its flexible and powerful development platform for creating cross-platform games and interactive experiences. The platform also has an efficient optimization performance that produces high quality game content fast. It provides a great avenue for anyone who aims to build a bustling mobile game business. At the moment, Unity's integrated platform allows for end-to-end multiplatform development where there are plans to include the latest Tizen Operating system and the highly anticipated PlayStation Mobile. Also, with complementary features such as the asset store and its Unity Cloud and sharing services, Unity is by far the most complete package there is! Unity may suggest that you upgrade your licenses to Unity Pro. The Unity Professional version includes bonus components that are designed to add extra value for high-end production, which includes more advanced lighting, code and editing options. However, despite being an acclaimed game engine, there a few naysayers who say that the Unity platform may be limited in certain tools which forces you to create some tools on your own. Corona SDK aims to offer developers the ability to seamlessly produce apps across multiple platforms with just a single code base, allowing developers to devote their time and effort in creating the very best mobile games. Corona's toolkit is known to provide very speedy programming performances which provide top notch code reusability and minimal fragmentation. As quoted by Corona Labs COO David Rangel, he stated While some developers are looking for quick and nimble solutions to create hits and generate revenue, others are looking for a solution to build apps based on their customers' specs. Corona SDK is a multifaceted tool that's ideal for a variety of developers, from indie devs, to game studios building out their own IP. The Unreal Engine has been the dominant 3D games engine for PC and console platforms. But as of now, the engine supports mobile platforms and is really pretty darn impressive to use. From the passive developers to huge game publishing studios, this platform has the state of the art tools to fulfill your many requirements in developing the game. Unreal Engine was demoed using Apple's new Metal graphics interface at WWDC. The engine is capable of creating the most realistic graphics ever for IOS and Android platforms. 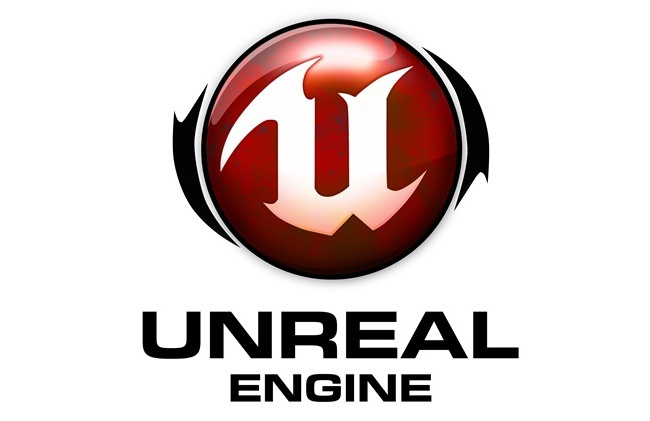 The unreal engine uses an integrated Unreal Editor suite and a C++ source code. However, as the C++ source code may not be applicable for beginner developers, novices have an option of not choosing to write any programming codes by using Blueprints, a visual programming environment where nodes are connected with lines. The engine provides middleware packages and integrations for free as well as full source access and a wide customization range for developers. Also, Unreal Engine has a participative community which could assist you during your developing and provide engine bug fixing. The Unreal Engine is definitely equipped to deliver top-grade games on your mobile devices but its complex mechanisms make it more suitable for professionals than for hobbyists. Also, the engine has limited support for older devices. The Cocos2D possesses a wide range of extensions and tools plus an awesome community of developers to support you with your game development. The engine has solid hardware accelerated graphics and has great performances. On the flip side this engine may not be the ideal cross-platform tool out there as it is more suitable for IOS. Another less well known platform that you should pay special attention to is App Game kit. 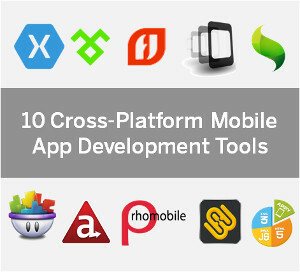 A wonderful and flexible cross-platform development software that comes with an integrated Design Environment to facilitate easy testing in any mobile device. Your games and app is built in BASIC or C++, making the tool useful for novice and professional developers. The App Game Kit also has these few complementary features which are Incident Action Plan (IAP), Advertising on Mobile and Push. The App Game Kit's engine delivers effective commands for networking, fantastic 2D graphics and great physics. On the other hand, as this platform is still relatively less popular than the earlier mentioned platforms, there have been many reports on bugs and slow response time for fixing. Well folks, those are my top 5 recommended Mobile Game Development platform. If you have more to share, do leave a comment below! To find 300+ Mobile Game Development Jobs, visit: www.MyTechLogy.com/IT-jobs-careers/. Thanks...for sharing such a valuable information on Java kids shapes geometric. I have found java questions and answers forum website, where my java queries has been resolved in very short span of time. I read your blog, You have shared very useful information for all ios and android gaming user and developers who are looking career in the Game Zone Development for both iOS and Android. I am also a ios app developer and also working on android. I am updated from the latest technology because I am regular active many ios developer forum. I know very well in the upcoming year ios and android market will grow.